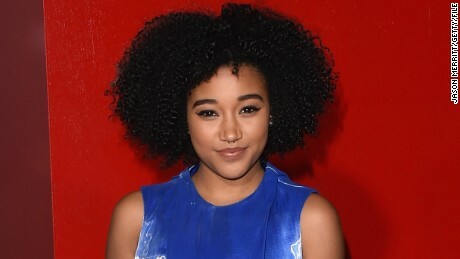 (CNN) You might remember actress Amandla Stenberg from her ill-fated role in the first “Hunger Games” film as Jennifer Lawrence’s endearing sidekick, Rue. The 17-year is stepping out of the franchise’s shadow and using her star power to inspire other black women to embrace their identity. It’s standard Stenberg for those familiar with her and her brand of #BlackGirlsMagic. She is an established voice among her contemporaries, having built a following through her use of online media to share messages of social consciousness. “Don’t Cash Crop on My Cornrows,” a video she made for history class on appropriating black culture, became a viral hit. She followed it up by calling out Kardasian family member Kylie Jenner for sporting the braided look in an Instagram photo in July 2015. Stenberg took her to task for appropriating “black features and culture” while failing to use her influence to direct attention to “police brutality or racism.” Her activism led various media outlets to name her a voice for her generation, raising her profile beyond Hollywood. Otherwise, she keeps her social media followers entertained with pictures of her besties from the under-21 cool kids set, including Jaden and Willow Smith (children of Hollywood couple Will and Jada Pinkett Smith). 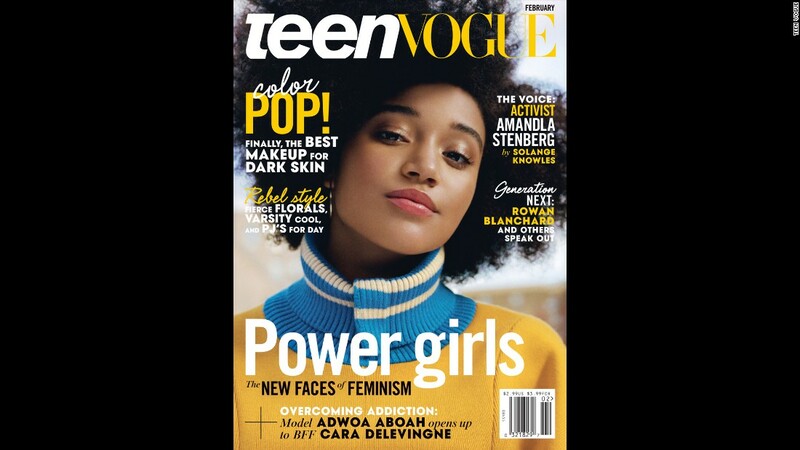 As Knowles notes in her Teen Vogue interview, Stenberg spreads #BlackGirlsMagic simply by being a role model who is proud to be black.